Movie theaters often find it difficult to increase their profits. Most people come in and pay for their movie ticket, buy their popcorn, candy and drinks and they are done. Some people avoid the movie theater all together , citing expensive prices keep them at home and waiting for the movie to be released on DVD. So what is a movie theater to do? After all it is profit that keeps the movies coming your way. The answer is SMS marketing. If you are yet to familiarize yourself with SMS marketing you’ve really been missing out. Text marketing is a form of marketing that enables a customer to ‘opt-in’ to receive offers from your company. 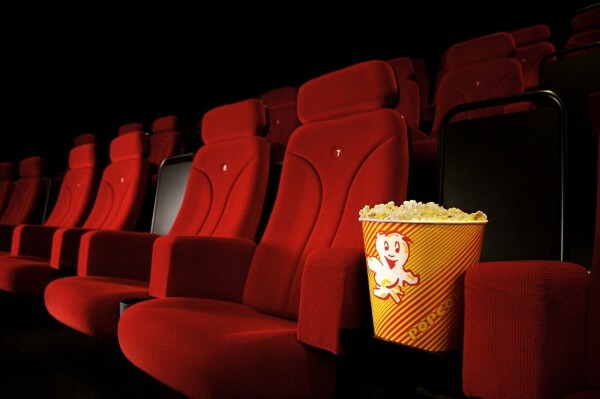 Movie theaters use text marketing to attract more customers through the door while keeping customers happy. This form of marketing uses a person’s movie device or smartphone for communication. SMS marketing attracts the customer your way, all with minimal efforts on your part required. Coupons: Some nights the movie theater is so empty it’s really not worth playing the film. That is, unless you’re using coupons. Sending out an SMS mobile coupon for discounted admission on your slow nights is a good way to get a crowd. How about a special BOGOF offer? Customers love coupons and when you make them available they can benefit you, too. Tickets: If customer can purchase movie tickets via mobile you can be sure more people will be purchasing tickets and attending your show. It is easy and it is quick. Throw in a discount for online ordering and the deal is sealed. Show Times: Being able to learn show times is important. Allow customers the option to sign up to receive such information via text message. Most customers will love this amenity! Staff Communication: SMS marketing is perfect for reaching out to customers but it is far more beneficial considering that it can also be used for staff communication. You can easily and quickly reach other staff members when you need to call someone in to work, report changes or events, etc. SMS marketing is beneficial in so many ways. You can communicate only with those who want to hear from you thus you reduce marketing to those with little interest in what you are offering them. SMS marketing is quick, easy and something that anyone can do. The numerous text message marketing benefits continue into far more things than what has been listed above. Movie theaters small and large will find they can excel greatly and with much versatility with the help of mobile marketing. SMS marketing provides immediate results and really attracts attention towards your business. It is one of the most affordable, most efficient and most valuable resources available to those who own movie theaters. In fact, 85% of all people in the US say they use a cell phone each day, with the majority of those people also using text messaging. Messages are typically read within a period of three minutes, so there is certainly no faster marketing method around.